CLEVELAND, OHIO - The Lake Erie Nature & Science Center connected with twenty five volunteers from Ernst & Young and Green Impressions Landscaping Company from Sheffield on Friday, September 28th, 2012. Mark & Terry Chapin teamed with Rich Kanary and directed the spirited volunteers in a day of pruning, weeding, soil amending and new plantings. 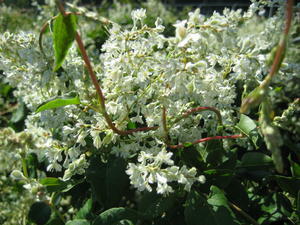 White flowering Silver Lace vine was planted in three locations along the duck pond that will fill the fence in two years. Elfin Thyme was selected for high traffic, dry and rocky soil areas. This Thyme will also help to keep down weeds and mud in front of animal display areas. 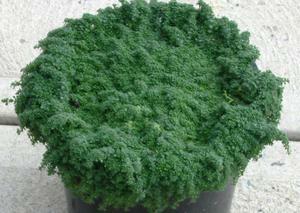 This ground cover is extremely low, 1/2 inch, and is easy to control. Barrenwort is a fantastic perennial that grows 8-12”and is drought tolerant. This hardy plant has great fall color and keeps its leaves thru the winter. This plant also has 4-6 weeks of spring color! The Non-Profit Lake Erie Nature & Science Center inspires each of us understand, appreciate and take responsibility for our natural universe. The center wants to give every child and adult the opportunity to make a lasting connection to the natural world to build a lifelong passion for discovery. Stop by the center in Bay Village and enjoy, it is open year round!